The boy in the dress was a really good book. Funny, a very good story! Fun characters, you just can’t put this book down, once u start reading! good because he stands up for what he thinks is right and also finds out his head teacher who toold him off for wearing a dress and a disgrace but the head teacher wears one and the boy in the dress finds out. would definetly read it again. Personally i did not enjoy this book. I found it quite boring and not that funny. But for anyone who likes David Walliams books, go ahead and read! Really funny.True as well that can happen to anyone. Fabulous work David Walliams! I loved this book. I especially liked the part when Lisa dresses up Dennis in an orange sequin dress with lipstick and high heels. I like this because it goes against how everybody thinks a boy should act. It was not only a hilarious book, but it also makes you think differently before judging people. This book is Very funny and at the same time Silly. It talks about how a boy Likes girl clothes and has a friend called Lisa who helps him wear girls clothes. Imagine! A boy in a dress or even reading vogue! This book is Very intresting and humorous Thats Why i Rated it 5 stars. 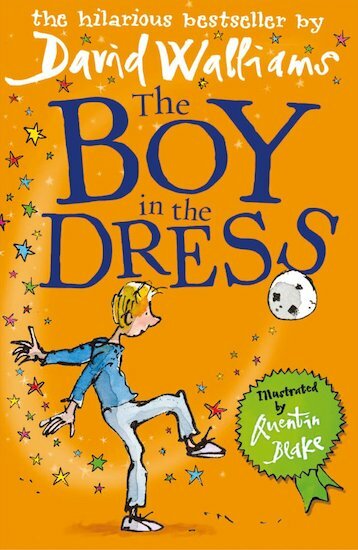 this is a book about a boy called dennis who wants to be a bit different so he wears a dress! I loved this book if u have not already got this book then get it, if u have not already read this book then read it NOW! Thanks for your time. This is probably one of the best books I’ve ever read. I recommend this book to children ages 8-10. I give this book five stars. I like this book, however, as I am not into fashion it is not for me! Of course, it is fantastic and funny like all of David Walliam’s books, however, it does not stand out for me. This is about a boy who likes fashion. Funny and heartwarming. I absolutely loved it! The story is so good and there are some hilarious jokes in there but also there’s the sadness of losing your mother. This is dead cool.5 stars. about a boy called dennis and he meets a girl called lisa who is into fashion. Lisa the tells him to wear a dress to school as her french pen pal and then, DISASTER STRUCTS!! 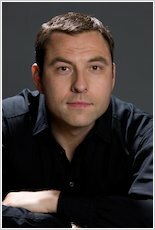 David Walliams is great! * * * * *! I really enjoyed it, good for people who like funny stories! me and my friend love this book, it rely is one of our favourites. It is a really good book and I will suggest it to anybody who like abit of humuor. This was really good and I think David Walliams is a really good author.